I love beer. And Kansas City history. Stockyards Brewing Company somehow manages to combine the two seamlessly. Opening earlier this year, Stockyards is the newest tenant in the former Golden Ox space. The Golden Ox was opened in 1949 and was the birthplace of the Kansas City strip steak. It was located on the first floor of the Kansas City Livestock Exchange by Jay Dillingham (also the owner of the Kansas City Stockyard Company). The establishment fed and entertained ranchers and farmers as well as former presidents Harry Truman and Dwight Eisenhower. 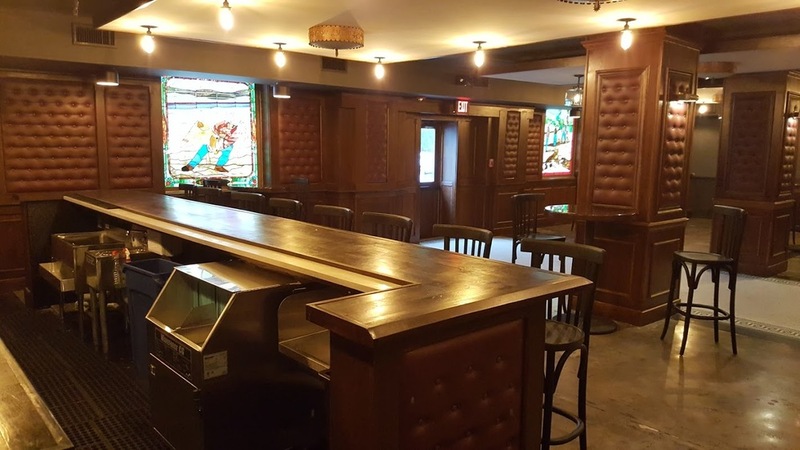 Stockyards Brewing Company, named in honor of the original tenants of the space, was able to open its doors following the permanent closure of the Golden Ox in 2014. Stockyards was somehow able to accomplish the impossible - modernize the space while still keeping the historic charm of the original building. 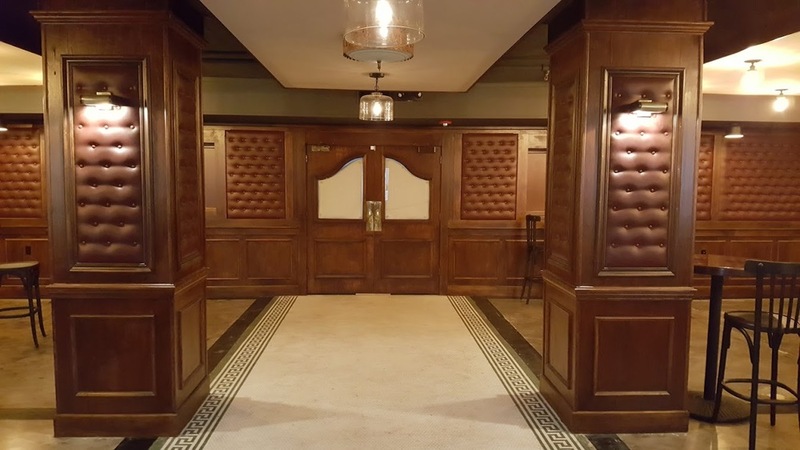 Looking around the space you will notice many of the original elements of the space - wood paneling, the wall mural of a cattle drive, the original leather booths, and wagon wheel chandeliers. But if you peak through the window (or through the original meat locker door) into the brewing space, you are looking into a completely different time period. The enormous "Brite Tanks" take up the majority of the space and are so top-of-the-line that they look almost futuristic. In a direct contrast to these tanks (and a perfect summary of the space itself), there are even chandeliers from the original tenant still illuminating the space. I met with Co-Owner Ray Kerzner on the patio of Thou Mayest a few weeks ago and I asked how the idea for Stockyards came to be. Turns out Ray and Greg Bland (Co-Owner and resident brewer) were college roommates. Bland spent his spare time as so many college students do, brewing (and probably drinking) beer. There was an agreement between the two that if Bland ever started his own Brewery, Kerzner would join him. Fast-forward a few years later and what started as a pipe-dream pact between friends has become a reality. "A Black IPA or Cascadian Dark ale is my favorite. I believe that is a great style of beer and relatively new. But our Hefeweizen right now is my favorite beer we make it is a great representation of the style. Additionally, our West Bottoms IPA is one of the most ‘drinkable’ IPAs I’ve come across – hoppy with floral notes that create a perceived bitterness yet finishes very smooth. " One of my favorite parts of the location is that there is a large event space. From the stained glass windows to the saloon style doors, this venue is unlike any other in Kansas City. I am already envisioning the parties that could be hosted here before or after a visit to the American Royal Rodeo at Kemper Arena down the street. Not only does Stockyards brew some of the best beer in the city, they do it all while remaining conscious of their environmental impact. Kerzner explains, "The building that we are connected to has a large solar array on the roof, and we are using almost 100% LED lighting in our facility right now. We are working on a recycling and low waste program right now to keep as much of our waste out of the landfill as possible. We have many efficiency plans related to the brewing process that we will implement slowly as we understand the equipment we have." It sounds like they have it all figured out, right? The space (and beer) is unlike any in Kansas City and is becoming a favorite among original patrons of the Golden Ox and new Kansas Citians alike. Once you try it, you will see that Stockyards Brewing Company is well on its way to claiming its own spot in the history of Kansas City.